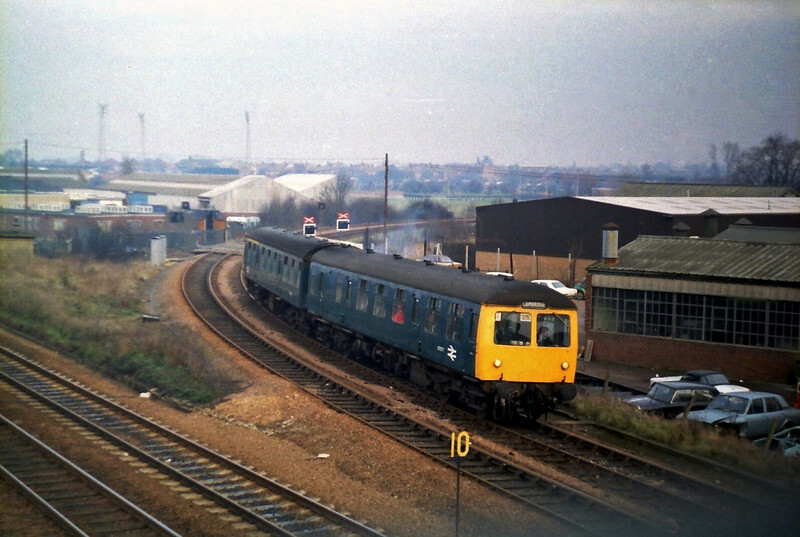 A Cravens unit forming an Ipswich to Cambridge working nears the end of its journey at Coldhams Lane Junction, Cambridge. c1979. The floodlights of the Cambridge United Football Ground on Newmarket Road can be seen in the background.